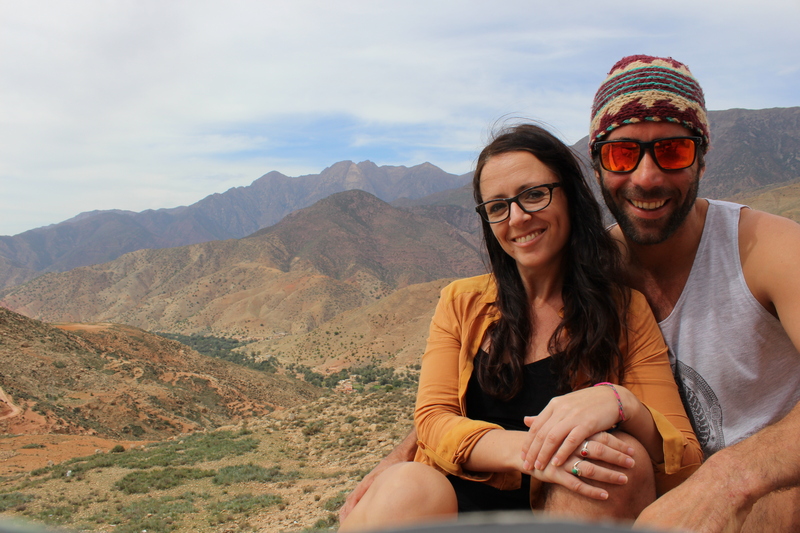 On the road in Morocco – tips for when it all goes wrong! Surfboards packed, tunes blaring; time to hit the open road and soak up the stunning scenery…not for long! 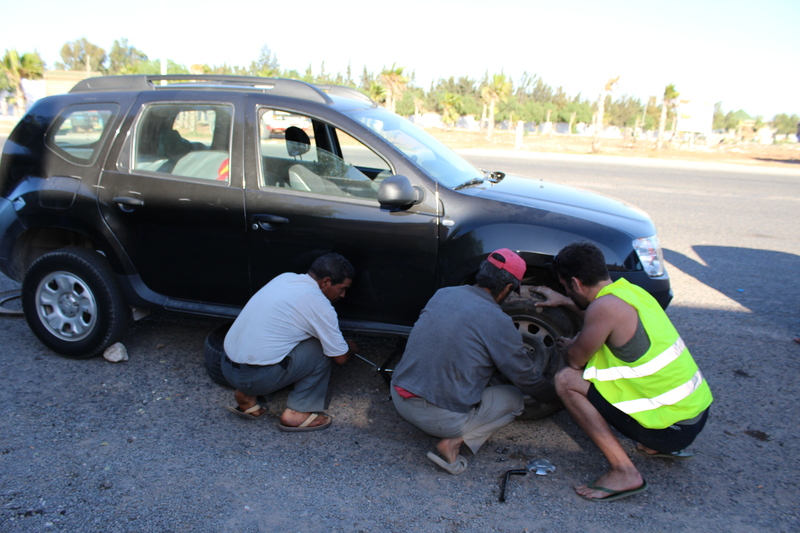 How to deal with a flat tyre, police fines and a landslide whilst cruising through Morocco. When you encounter police…be nice! Whitney was blaring, the scenery was stunning and we were within 5 minutes of entering Essaouira when we got hailed over by police on the side of the road. Approaching the main road from the side road, Andy had slowed down before entering and was immediately flagged down by the awaiting police officers. 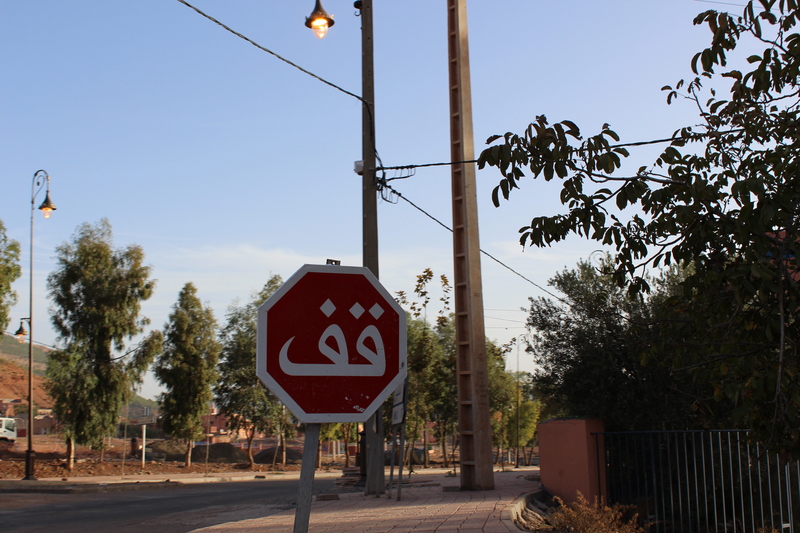 “You did not stop!” Apparently there was a stop sign at the road entrance (written in Arabic obviously) which Andy had not paid any attention to; despite slowing down to check entry was safe. “I need to see your documents” we were informed before being asked for 700 dirhams (about £60). That amount of cash was more than our weekly accommodation budget and we certainly didn’t have it on us. On explaining this to the policeman he informed us that he would have to take Andy’s driving licence and documentation so that we could drive the 10km to the city, withdraw the cash, return to pay him and then head back to the city again. I was not confident in handing over documentation. Very surprisingly Andy was ridiculously polite to the officer before spending ages counting out the small amount of cash that we did have. It turns out that this technique is one to bear in mind as eventually after watching us count out the shrapnel, the policeman said we could just pay him 350 dirhams and head on our way. Non-surprisingly he didn’t provide a receipt for this transaction, no doubt that cash went straight into his back pocket! TOP TIP: Stop at Stop signs! How many men does it take to change a tyre? Having left the car at the fort in Essaouira with a rather dodgy looking man offering to keep watch on it for 20p (this is the norm in Morocco we eventually found out after having various men in high vis vests abusing us as we drove away from car parking spaces! ), we returned to find the car thankfully was still there. On driving off Mr High Vis started waving his arms and signalled that the tyre was flat (it didn’t appear to be so) and he signalled the direction of a mechanic. Considering we were driving in one of the dodgiest places we had encountered thus far in Morocco we conceded that this was clearly a plot to lure us into a side street before skinning us alive and running away with our worldly possessions! Turns out we were just cynics, and 20 minutes into the drive we were forced to pull over (opposite previous police stop which remarkably was nowhere to be found now!). The tyre had a huge nail wedged into it! So off Andy went taking off the tyre and taking the replacement out. In a bid to promote health and safety I obviously took out the yellow vest provided and forced Andy to put it on as well as securing the crucial warning triangle was firmly in place by the vehicle (all 20cm of it!). Within 3 minutes Andy had some friends from the café opposite who very kindly came to offer a helping hand. 2 minutes later and his friends had almost trebled in number as he was eventually left idle on the road side. It turned out the jack was utterly useless for a car the size of ours, so a passing lorry was hailed and we borrowed his. Thankfully we were on our way in no time at all; utterly grateful for the help of the locals who asked nothing for their services. In all honesty I think we added some excitement to their day. 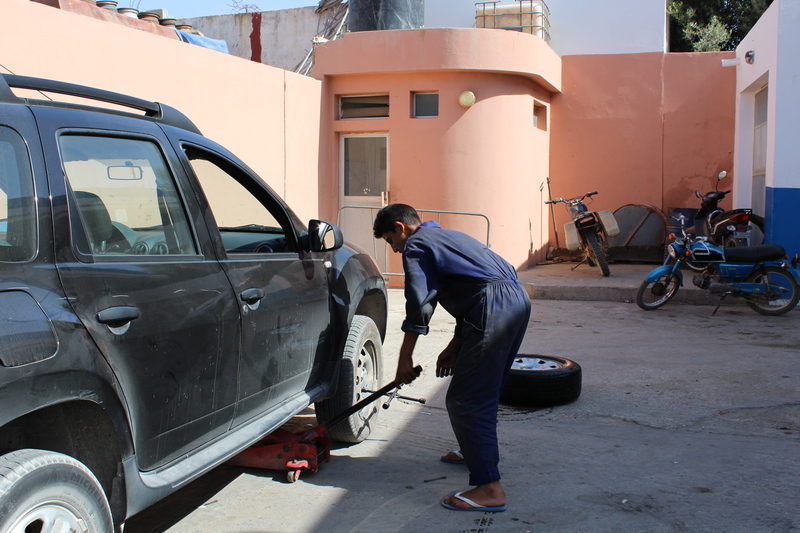 The next day we visited one of the small roadside mechanics; run by a 16 year old boy who looked like he should have been in primary school, who charged £2 to fit some putty into the hole and change the tyres back. Superbly swift service with a smile for next to nothing – we were quickly falling in love with this country. TOP TIP: Make sure you have a decent spare tyre! Landslide blocked your way? Make sure you have a pack of cards! 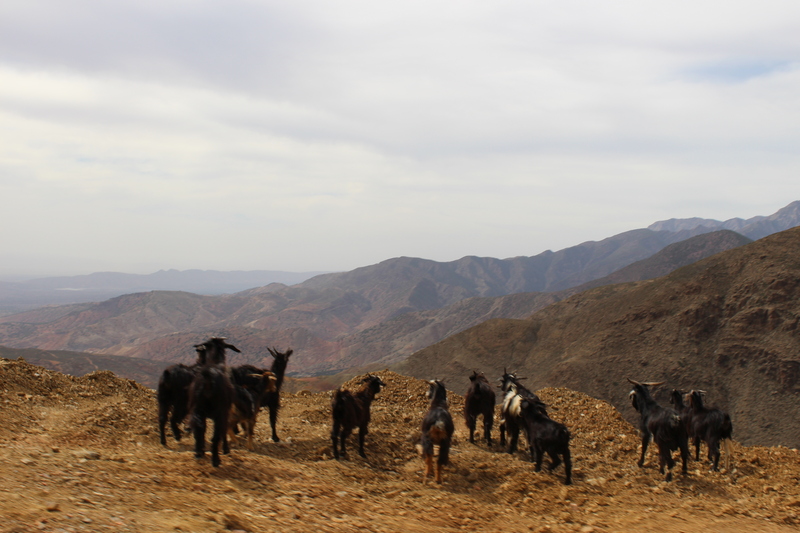 4½ hours our faithful friend (Google Maps) had told us the scenic route from Taghazout to our mountain retreat in the Toukbal National Park area of the Atlas Mountains would take. She lied! 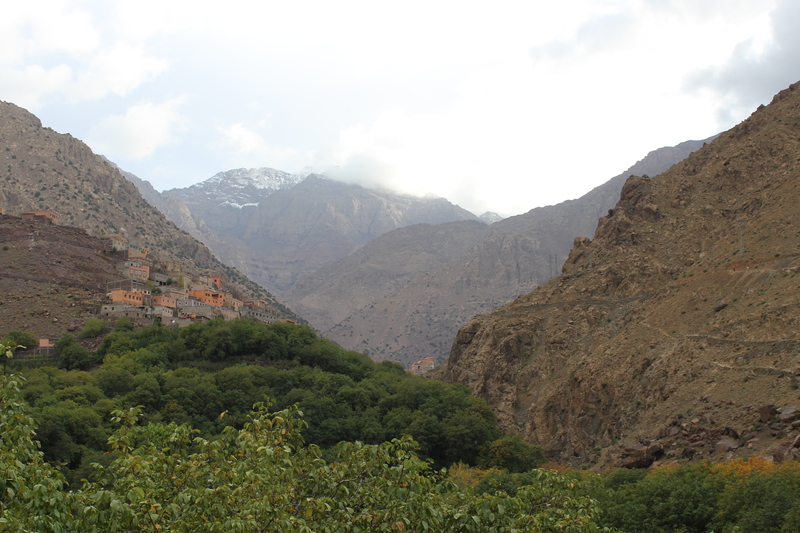 A stunning journey led us through the town of Taroudant up into the mountains where we stopped off to soak up the atmosphere and have a mint tea. What a strike of luck as had we just carried on we probably wouldn’t be here to tell the tale. 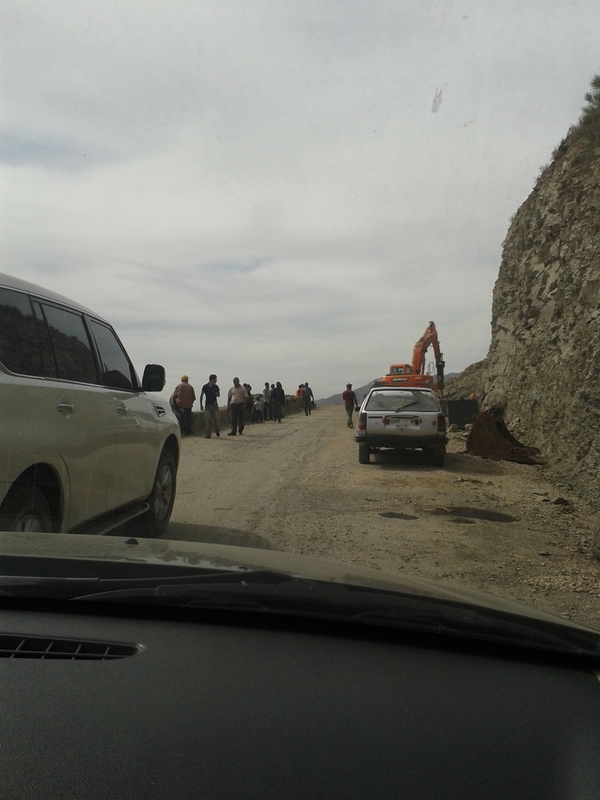 As we headed off we were the 2nd in line held up due to a sudden landslide that had swept down the mountainside utterly deluging our path. 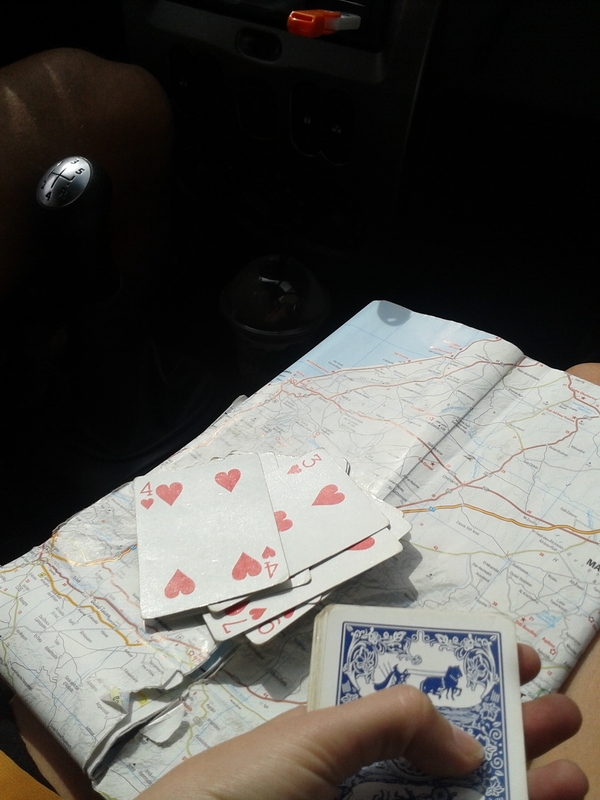 While we waited for the road to be cleared, sweaty and lacking any radio signal to keep us entertained, I spied the pack of cards. It was time for a game of Snap on Lap, an interesting take on the old classic without access to a flat surface apart from my sweaty legs! After Andy thrashed me in every round, we were finally on our way meandering back up the windy mountain passes; where we narrowly avoided an accident with an impatient man who was driving up our arse and ran head first into an oncoming car around the corner after overtaking us. His poor family, who clearly were not wearing seatbelts, and the man he ran into, were not best pleased. His car was a clear write off and I have no idea how he was going to get himself and his wailing family off the mountainside before sunset. Was the rush really worth it? 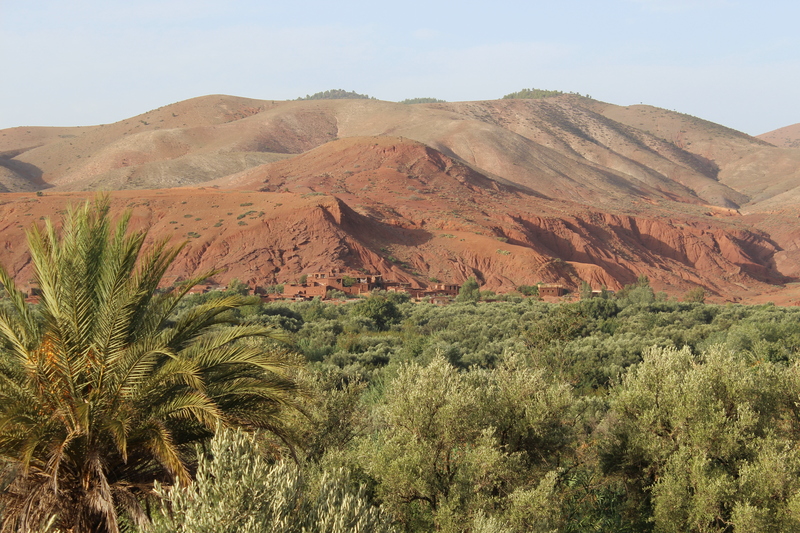 Eventually (8 hours later) we made it to our destination…a stunning Kasbah in the mountains reached on foot whilst our bags took a donkey ride. Time to relax! TOP TIP: Whatever time the sat nav says…double it!